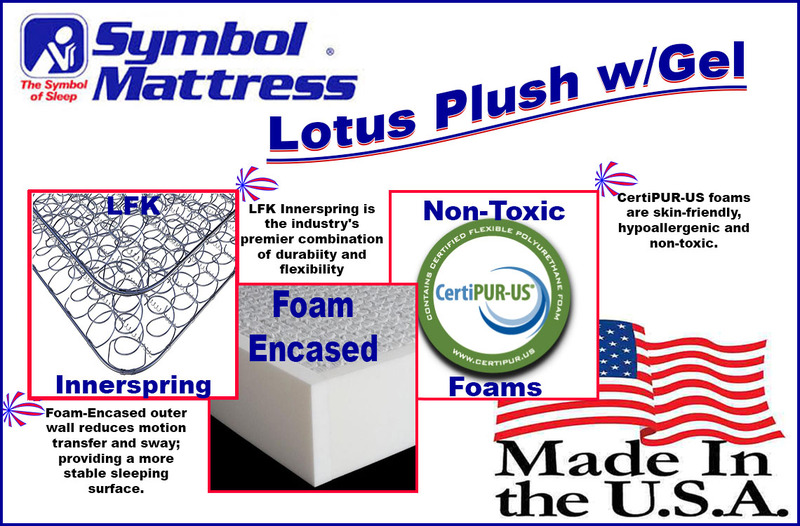 The "Lotus Plush w/Gel Lumbar" is an American-Made, CertiPUR-US, medium-plush mattress with a Gel-Infused Foam Lumbar Pad. It's got a considerable amount of plush build-up above its high-quality LFK innerspring coil unit and foam encased edges. This mattress can be ordered in both standard and custom sizes. 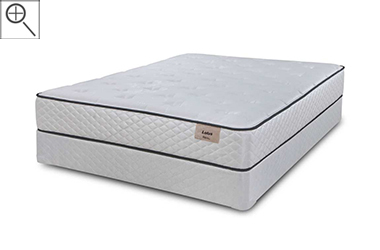 The Comfortec line - that the Lotus mattresses are a popular part of - offers some of the mattress industry's best components and features, but at a discounted retail price. 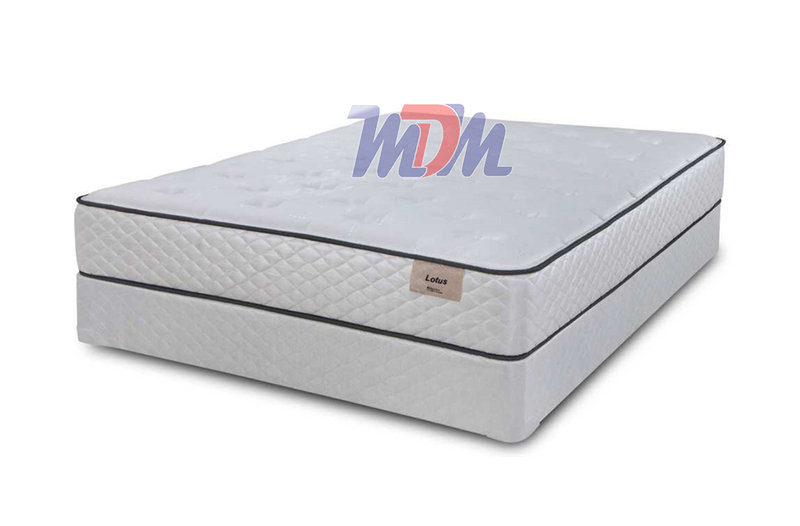 This particular model will offer you a softer sleeping surface but will provide structural support that you can feel. The LFK Offset Innerspring Coil Unit contours with your body but is designed with a long-lasting lifespan in mind. Plush Top Tac & Jump Quilting provides immediate softness.